Asked if J002E3 might be an alien spaceship, a NASA official responded, "if it is, the aliens aren't good pilots." And they realized that the object must have been captured by Earth's gravity relatively recently; an orbit like that wouldn't persist over a long period of time. 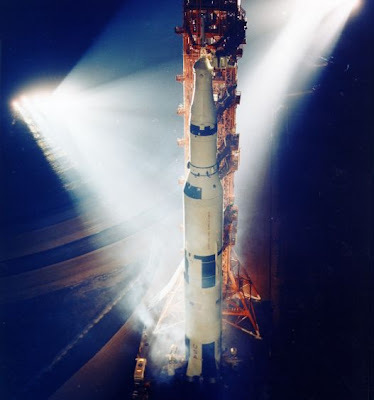 Further, a reading of the spectrum of sunlight reflected off J002E3 indicated it was white... in fact, painted white with the titanium dioxide based paint that was used on the Saturn Vs. Calculating its orbital pattern back in time indicated that it had likely entered an unstable Earth orbit sometime around 1971. But since all Apollo 13 and 14 hardware is accounted for,* it seemed it must be from a slightly earlier flight. * There's a chance it's one of the panels that covered the Apollo 14 lunar module en route to the moon, but the color is wrong so probably not. Apollo 12: the bit orbiting the Earth. 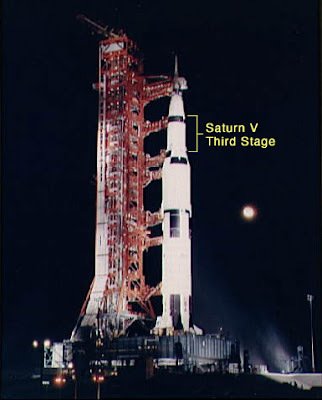 That's how NASA concluded that J002E3 is most likely the third stage of Apollo 12's Saturn V. But why did that rocket end up as a mystery object in an erratic orbit? The Apollo 12 mission plan was for the astronauts to jettison the nearly used up third stage on the way to the moon. After jettisoning it, Mission Control would remotely triggered the stage to ignite and burn up the last little bit of remaining fuel, powering the rocket into a stable solar orbit. Something must have gone wrong with that final burn, and this is the result. Apollo 13, on the launch pad. Reading about this Apollo relic got me thinking: what would happen if an interplanetary salvage crew towed the third stage back to Earth to sell it to the highest bidder? Apollo artifacts bring good money, especially those that actually flew in space. 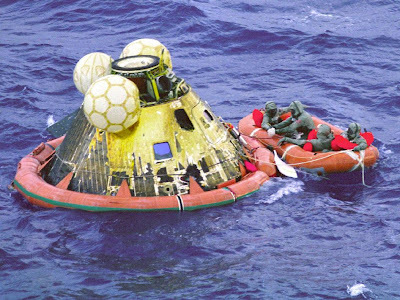 Once commercial spaceflight really gets underway, what is stopping folks from salvaging and selling Apollo gear left in outer space? Well, it turns out that would be illegal... Apollo-era rocket parts left in outer space are the property of the U.S. government. An F-1 rocket nozzle on the bottom of the Atlantic Ocean. A few months ago Amazon founder Jeff Bezos sponsored a space age fishing expedition: Bezos Expeditions located, and then salvaged, parts of Apollo 11's engines from the Atlantic Ocean. These engines ("F-1" engines), powered the first stage of the Saturn V rocket that propelled Neil Armstrong, Buzz Aldrin, and Michael Collins to the moon. 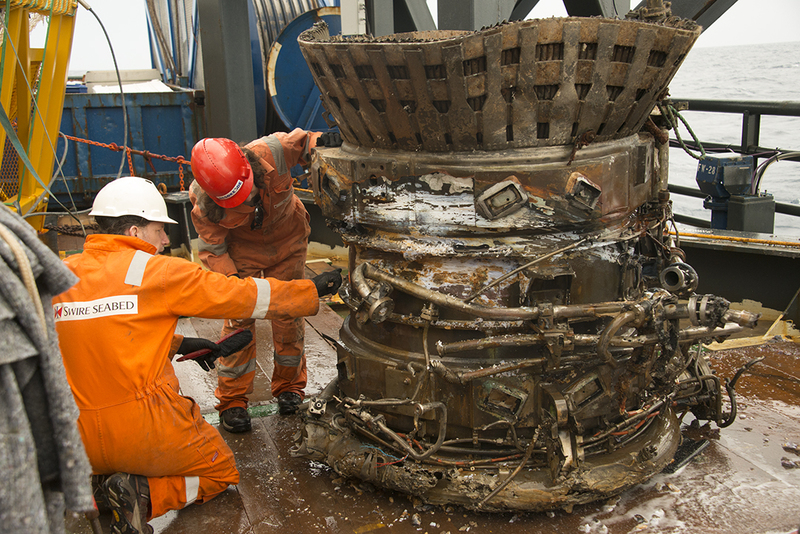 News accounts of the marine salvage operation (which was no small feat- the engines recovered were more than three miles underwater!) 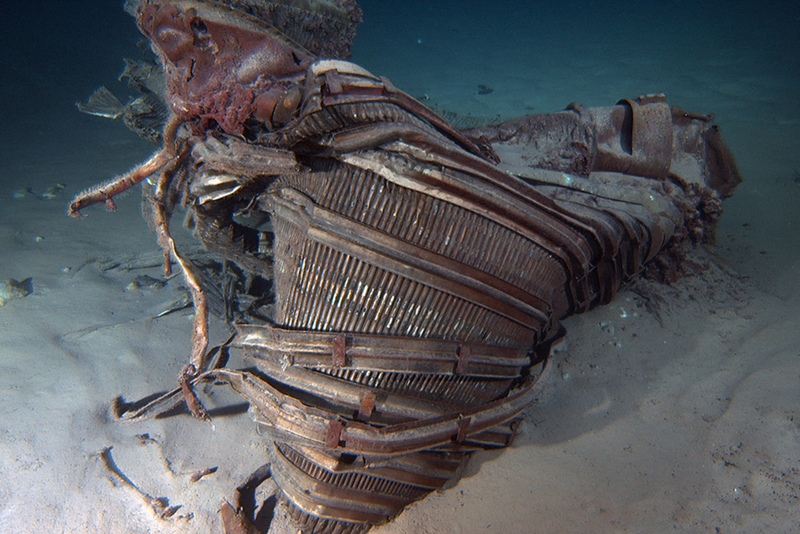 noted that the engines were still U.S. government property. That's clearly true under international law: Article VIII of the 1967 Outer Space Treaty, which the United States has ratified, states that objects launched into space remain the property of the treaty signatory state that originally registered the object. This is true regardless of where the property is located. Cleaning off an F-1 Rocket. The Apollo relics that Bezos recovered are also U.S. government property under maritime law. Since NASA didn't abandon its claim to the F-1 rockets, they are still NASA property, even under several miles of water. This principle was recognized in U.S. federal court, in a case before a U.S. Court of Appeals in 1992 (U.S. v. Richard Steinmetz 973 F.2d 212 (3rd Cir. N.J. 1992)). 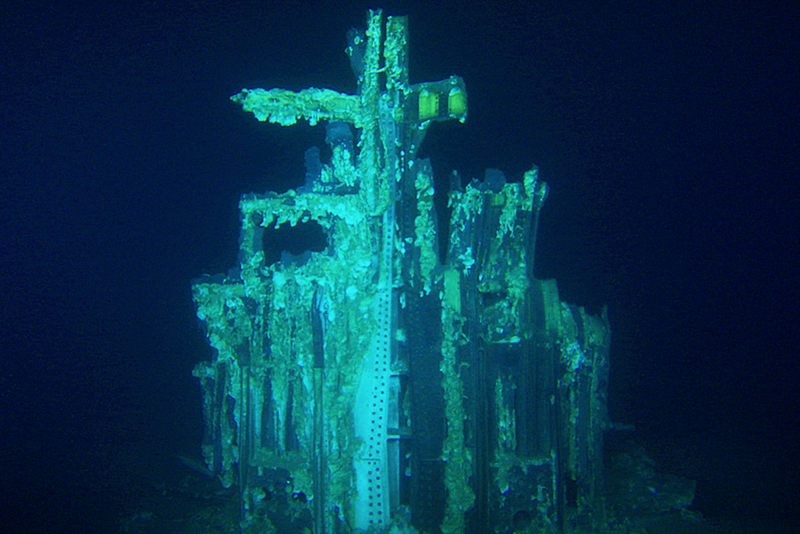 The court held that the bell recovered off a sunken Confederate States of America warship remained property of the United States, even after it was salvaged from the wreck. Part of a Saturn V rocket. The decision's author, Judge Dolores Sloviter, seems at times to be making only a modest effort to reign in her excitement at writing on such a Clive Cussler worthy topic. Her opinion (available here, and definitely worth a read) delves enthusiastically into the full tale of the warship, the C.S.S. Alabama. It's quite a story! 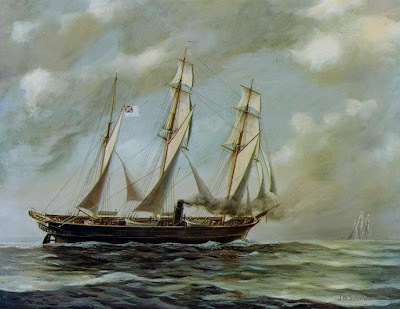 From 1862-1864, the C.S.S. Alabama roamed the seven seas, sinking Union merchant ships. Then she was sunk in battle off the coast of France in 1864. Her bell was recovered by a British wreck diver in the 1930s, who sold it to a London pub, in exchange for unlimited drinking privileges. A few years later, the pub was destroyed in the blitz. When the bell was dug up from the rubble of the pub, it was sold and resold a few times before ending up in the possession of the antiques dealer who became the target of the U.S. government's lawsuit. 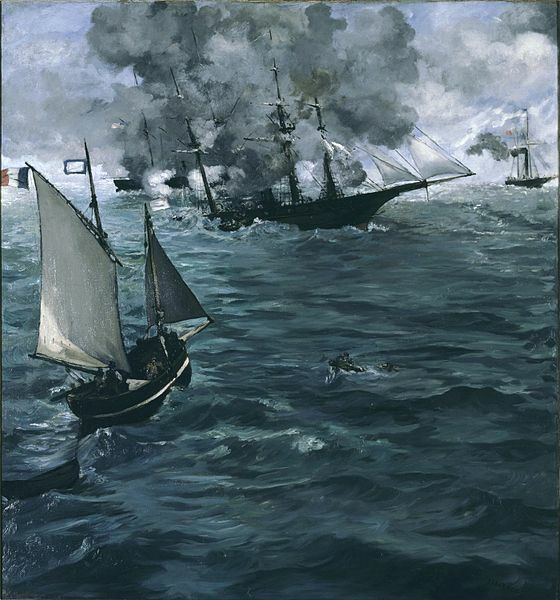 French impressionist Edouard Manet painted the scene of the Alabama's final battle. As for Judge Sloviter's legal analysis... her conclusion is firmly rooted in maritime law and longtime international practice. The United States government (the successor to the bell's original owner, the Confederate States of America) did not deliberately abandon the wreck and bell. Previous Supreme Court cases had held that some explicit statement of abandonment, maybe even congressional action, is necessary for the U.S. government to relinquish legal ownership. Since no abandonment occurred, the bell remained federal property. C.S.S. Alabama. It looks like a sailing ship, but it also had a steam-driven propeller. Judge Sloviter goes on to explain that maritime salvage law isn't always quite that simple; older U.S. naval vessels (i.e., pre-Civil War era ships) are sometimes considered abandoned because of the long passage of time. But U.S. government property that was sunk in oceans after 1860 is pretty clearly still U.S. government property. Sources: Bezos Expeditions; The Space Review; U.S. v. Richard Steinmetz 973 F.2d 212 (3rd Cir. N.J. 1992); 1967 Outer Space Treaty; NASA. That is such a cool video!! So spooky! Thanks for sharing it. So the same applies to SpaceX property in international waters. Valley Forge on the Moon?